On 15 December 2017 at 20:30 CET the Amsterdam-based experimental poetry venue Perdu presents the first installment of a series of evenings Toren van Babel/ Diapason around the phenomenon of multilingualism in contemporary poetry. 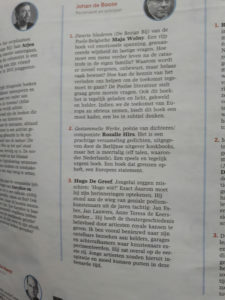 The evenings are curated by Lucie Fortuin, Linda Veldman, and Frances Welling (Avondenredactie/ director of Perdu). 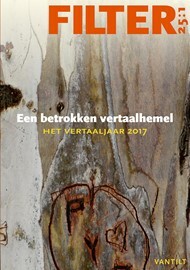 During this evening the multilingual poetry book gestammelte werke (2017) by Rozalie Hirs is presented to the Dutch audience. The new book, recently published by the Berlin-based experimental publishing house kookbooks, can be regarded as a manifesto for Europe and the world. Rozalie Hirs, Linda Veldman, and Frances Welling kick off the evening with a language caroussel of poems in Dutch, German, French, English, and Russian, selected from the new compendium. The performance is followed by a round table discussion with Frances Welling (host), Çağlar Köseoğlu, Dean Bowen, and Rozalie Hirs, on the topic of multilingualism in poetry. After the intermission Hirs performs her music composition Bridge of Babel (2009), an imaginary road trip around the world in twenty languages. The program is concluded with a brandnew multilingual radioplay by Lucie Fortuin, Linda Veldman, and Frances Welling. On 17 October 2017 at Ausland, Berlin, the Danish poet Mette Moestrup and the Dutch poet Rozalie Hirs present the book launches of their respective poetry books Stirb, Lüge, Stirb, and gestammelte werke, both published this year by kookbooks, Berlin. 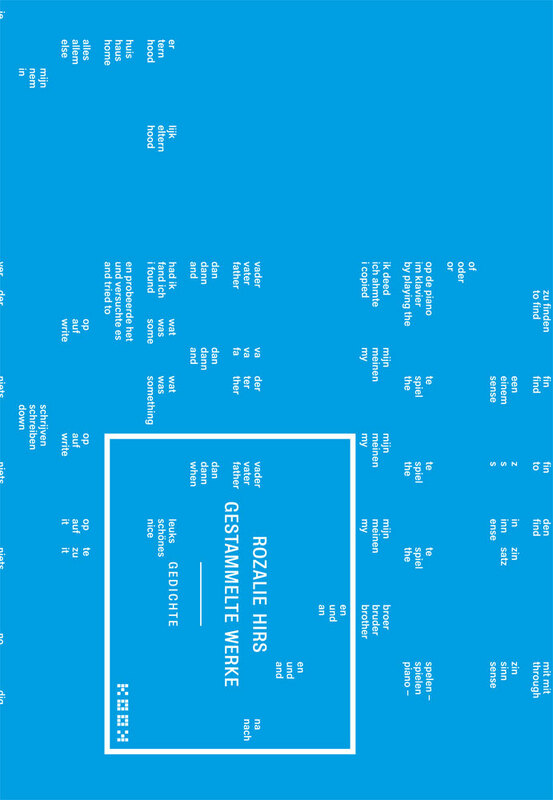 During this evening the multilingual poetry book gestammelte werke (2017) by Rozalie Hirs is presented to the German audience. The new book, recently published by the Berlin-based experimental publishing house kookbooks, can be regarded as a manifesto for Europe and the world. Rozalie Hirs, Cia Rinne, and Daniela Seel kick off the evening with a language caroussel of poems in Dutch, German, French, English, and Spanish, selected from the new compendium. Mette Moestrup and Rike Scheffler present a duo reading from Moestrup’s new poetry book Stirb, Lüge stirb, that recently appeared with kookbooks. 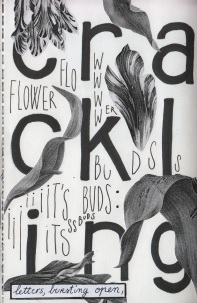 Daniela Seel interviews Hirs and Moestrup about their new books. With additional performances by Rike Scheffler (music, poetry) and Cia Rinne (multilingual poetry). On 22 October 2016 at 13:00 CET Rozalie Hirs performs a short portrait concert at the Theatre in the Dutch/Flemish Pavilion, Guests of Honour of the Frankfurt Book Fair 2016. The program consists of poetry and music hybrids by Hirs, including the new composition ein tag (2006-16). It is based on the poetry cycle with the same name from her forthcoming poetry book gestammelte werke (Berlin: kooknooks, 2017). Translated by Daniela Seel and the author. On Thursday 20 October 2016 at 20:00 CET Rozalie Hirs performs her poems at the Buchhandlung der Lyrikverlage, Frankfurt, Germany. 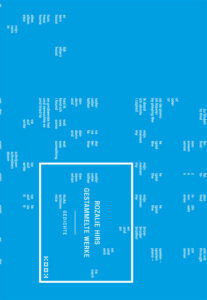 It is the first time Hirs reads from her brand-new poetry book gestammelte werke (Berlin: kookbooks, 2017). German translations by Ard Posthuma, Daniela Seel and the author.